M G Ramachandran was an Indian actor and politician who served as the CM of Tamil Nadu. This biography of M G Ramachandran provides detailed information about his childhood, life, acting and political career and timeline. Fondly known by the acronym MGR, Marudhur Gopalan Ramchandran was an Indian actor who went on to become a renowned politician. He was the first popular Indian actor to serve as Chief Minister of an Indian state. MGR’s career started in films. 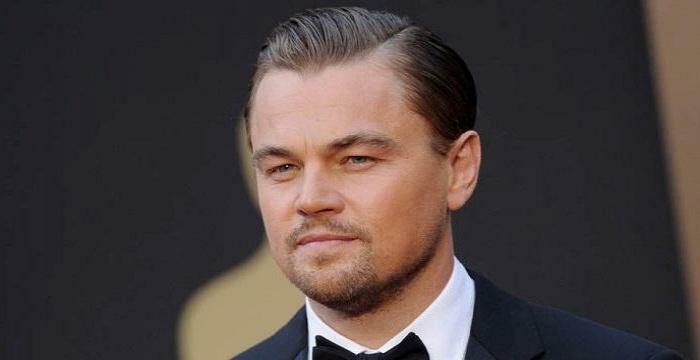 With a deep passion for acting, he enrolled himself in a drama company. No sooner than in 1936 he landed himself a film role for the Elle Dungan film, ‘Sathi Leelavathi’. Since then, there was no looking back for this talented actor who only bettered and polished his acting skills with time. During his film career MGR befriended Annadurai, one of the most prominent leaders of the Dravidian movement. The latter had a deep influence on MGR, who in turn considered Annadurai as his mentor. It was his association with Annadurai that let MGR to venture into politics. He became a part of Annadurai’s DMK, a Dravidian political party. After the death of Annadurai, DMK came under the leadership of Karunanidhi. This led MGR to start his own political party, ADMK. ADMK, which over the years became AIADMK, ruled the state of Tamil Nadu from 1977 until 1984 with MGR as the Chief Minister. His policies were directed for social welfare and economic growth. He came up with several educational reforms, upgraded the free meal scheme, banned liquor and preserved the state’s cultural heritage thus attracting tourism. Marudhur Gopalan Ramachandran was born on January 17, 1917 in Kandy, British Ceylon (present-day Sri Lanka) to Melakkath Gopala Menon and Maruthur Satyabhama. He is till date popularly known by the acronym MGR. His father belonged to a Malayali Nair family, and was based at Vadavannur, Palakkad when he was excommunicated in 1903. Leaving his family, he migrated to Kandy. Young Ramachandran grew up both as a devout Hindu and a devotee of Lord Murugan. Early in his life, MGR showed an inclination for acting. Following his father’s death, MGR joined a drama company, ‘Madurai Original Boys Company’. 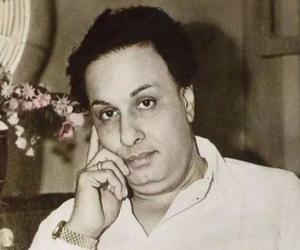 MGR made his big break in cinema in the year 1936 with the film, ‘Sathi Leelavathi’. The film was directed by an American-born film director, Ellis Dungan. During the 1940s and 1950s the Tamil film industry witnessed a huge transformation. Screenwriters belonging to the Dravidian movement such as Annadurai, Karunanidhi were getting popular and were making different kind of cinema. MGR took part in the movement and played various characters during the decade. The relationship between MGR and Annadurai was that of a pupil and a mentor. Subsequently, MGR joined politics as well being a part of the Annadurai’s new Dravidian party, DMK in 1953. After his stint in romantic and action films, MGR got his big breakthrough in cinema in 1950 with Karunanidhi’s ‘Manthiri Kumari’. The film catapulted him to fame. He followed its success with the 1954 film, ‘Malaikkallan’. 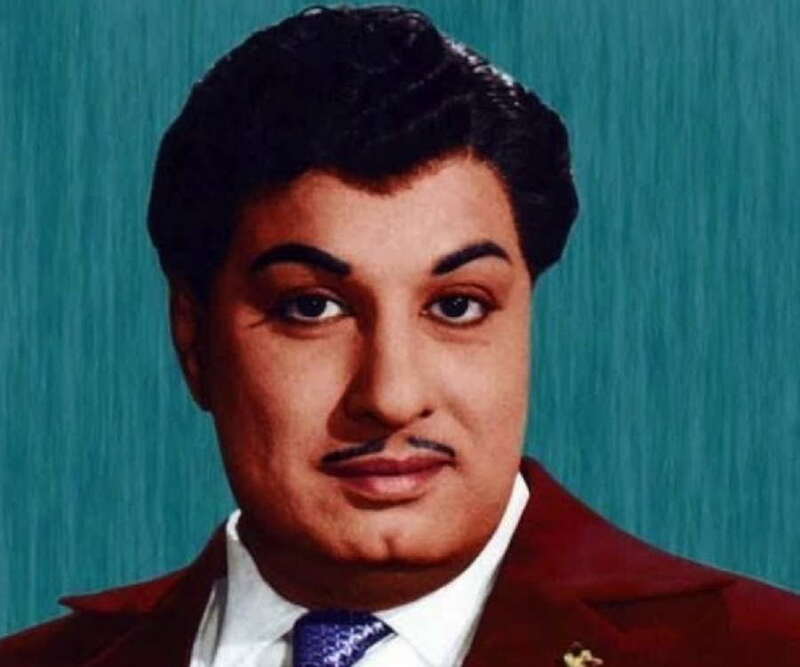 The 1955 film, ‘Alibabavum 40 Thirudargalum’ multiplied the fame of MGR who became the first Tamil actor to star in the industry’s first ever geva colour flick. Gradually, banking on his star status, MGR gave stellar performances one after the other in films like ‘Thirudadhe’, ‘Enga Veettu Pillai’, ‘Aayirathil Oruvan’, ‘Anbe Vaa, Mahadevi’, ‘Panam Padaithavan’ and‘Ulagam Sutrum Vaalibhan’. He soon became the heartthrob of millions of Tamilians. Interestingly, MGR’s films were not class driven. They as much appealed to the masses as they did to the classes. He showcased basic sentiments that are common to all, irrespective of their social stature. Just when people thought that MGR had shown every bit of talent that he possessed as an actor, he surprised his audience with an eye-opening performance in ‘Rickshawkaran’ that won him National Award too. The following year, he came up with the blockbuster ‘Ulagam Sutrum’ that broke all previous records held by him. ‘Ullagam Suthi Paru’ was the last film of MGR’s career. MGR’s career in politics started when he joined Annadurai’s DMK in 1953. No sooner, he became a Dravidian nationalist and a prominent member of the DMK. His star status added much needed glamour to the party making him all the more famous. In 1962, MGR became a member of the state Legislative Council. Five years later, he was first elected to the Tamil Nadu Legislative Assembly. Following the death of the DMK founder and his mentor Annadurai in 1969, MGR served as the treasurer of the party. Following Annadurai’s death, Karunanidhi became DMK’s leader. There was friction between Karunannidhi and MGR for position. When Karunanidhi started to project his son M.K. Muthu in 1972, MGR levelled him corrupt. He demanded to publicise the financial details of the party. His opposition led to his exit from the party. MGR’s exit from DMK did not disrupt his political career as he subsequently formed his own party Anna Dravida Munnetra Kazhagam (ADMK), which was later renamed All India Anna Dravida Munnetra Kazhagam (AIADMK). With time, ADMK became the only powerful opponent of the DMK. Between 1972 and 1977, MGR frequently travelled, spreading and preaching his party ambitions. He used the power of cinema to project his party policies. Films like ‘Netru Indru Naalai’, ‘Idhayakani’,‘Indru Pol Endrum Vazhga’supported ADMK’s programs. In 1977, MGR’s ADMK successfully defeated DMK. MGR became the Chief Minister of Tamil Nadu. 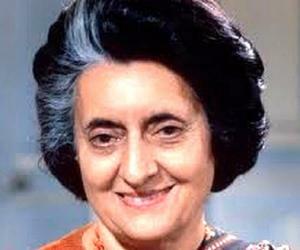 He emphasized on education and social development. MGR converted Madras CM K. Kamaraj’s ‘Midday Meal Scheme’ to ‘MGR’s Nutritious Meal Scheme’ where he added saththurundai, a nutritious sugary flour dumpling, to the meals. He set up free schools in Kodambakkam. Apart from education, MGR focussed on women welfare. He introduced women-centric buses. MGR even concentrated on preservation of cultural and heritage buildings and monuments, such as temples, historical sites and so on. This in turn led to a boost in tourism. Liquor ban made the state all the more spiritually inclined. His pro-state policies helped him win the 1980 elections as well. In the 1984 elections, MGR was undergoing a treatment in America. Despite not being part of the campaign, his popularity led ADMK win the election by a huge majority. Consequently, Congress allied with ADMK. His images were broadcast throughout the cinema halls in Tamil Nadu as part of the campaign. His party ADMK won every state assembly election as long as MGR was alive. As an actor, MGR was one of the finest that the country has had. He entertained his audience with some of the most fascinating movies in Tamil cinema. Though he got his beak in 1930, it was only in the decade of 1950 that MGR’s fame catapulted. Films such as ‘Manthiri Kumari’, ‘Malaikkallan’, ‘Alibabavum 40 Thirudargalum’, ‘ Thirudadhe’, ‘Enga Veettu Pillai’, ‘Aayirathil Oruvan’, ‘Anbe Vaa’, ‘Mahadevi’, ‘Panam Padaithavan’, ‘Ulagam Sutrum Vaalibhan’ displayed his best performance as an actor. As a politician, he strived towards putting an end to corruption and exploitation. He came up with several education reforms and opened new free schools for the poor and deprived. He even upgraded Kamaraj’s Midday Meal Scheme to MGR’s Nutritious Meal Scheme. He provided special facilities to women, banned liquor and upheld and preserved the historical sites of the state thus attracting tourism. 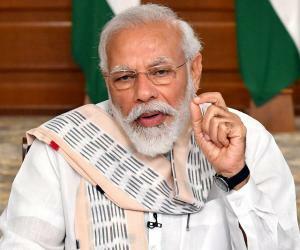 His career in films earned him several awards including two Filmfare Awards in the category of Best Actor and Best Film and a National Film Award for Best Actor. He was felicitated with honorary doctorate degrees from the University of Madras and the World University Arizona in 1974. Posthumously, MGR was conferred with the Bharat Ratna by the Government of India. MGR married Chitarikulam Bargavi popularly known as Thangamani. She died in 1942. He re-married Sathanandavathhi who in turn also died of tuberculosis in 1962. MGR finally married VN Janaki, a former Tamil actress who remained his wife until his death. In 1967, MGR met with a tragic incident. His co-actor M. R. Radha shot him on his left ear twice which after a surgical operation left MGR partially deaf. He was unable to hear from his left ear and suffered from ear ringing problems all through his life. His voice changed permanently. In 1984, MGR was diagnosed with kidney failure. A mild heart attack coupled with diabetes and massive stroke complicated his health further. He travelled to America for kidney transplantation where he was admitted at the Downstate Medical Center, Brooklyn. He frequently visited America for treatment but he never fully recovered from his prolonged illness. He breathed his last on December 24, 1987 at 3:30 am at Chennai Apollo Hospital. He was 71 years of age. MGR’s death created a frenzied situation in the state. Millions of people came on the road looting and rioting. Shops, cinemas, buses and other public and private property became the target of violence. Free train service was started between Bangalore and Madras so that people could pay their last homage to MGR. However, violence broke out at the funeral that left 29 dead. Posthumously, his political party, the All India Anna Dravida Munnetra Kazhagam, split between his wife Janaki Ramachandran and J. Jayalalithaa. In 1988, the two merged. In 1989, in the memory of MGR, Dr. M. G. R. Home and Higher Secondary School for the Speech and Hearing Impaired was established in Ramavaram. His official residence was turned into ‘MGR Memorial House’ and is open for public viewing. His film studio, Sathya Studios, was converted into a women's college. MGR was the first popular film actor to be the Chief Minister of a state in India.